The CEO of Apple, Tim Cook has just announced the iPad 3 on the media event today in Yerba Buena Center in Sans Francisco. The new iPad is carrying all the latest and next generation hardware features like the ability to produce high quality images with the addition of new advanced camera lens in the iPad 3. Apple has just started demoing the upcoming device on the stage while highlighting the new features of the device. The new iPad is reportedly featuring a Retina Display, A5x dual-core processor along with quad-core GPU on the board to support the Retina Display. Moreover the device is also featuring an advanced battery packs, and 4G LTE networking chipset with the initial support to all bigger iOS supported carriers around the U.S. In addition to these, the device is carrying the same design like the iPad 2, and we believes that many users goings to ignore it because they want something new in shape of the device. However, the Tim Cook just represents the device on the stage, and then gives the stage to Phil Schiller. Phil Schiller comes on the stage and announces that the device will be available in market by March 16th, and the pre-orders for the device will go live from today, after the few hours of media event. 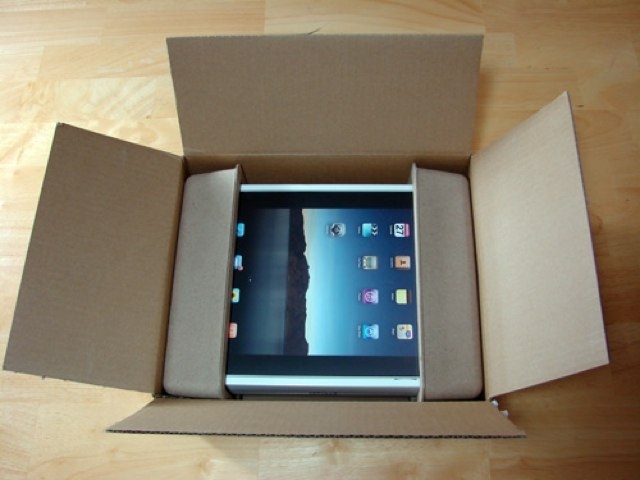 It is reported that Apple has already publishes the pre-order page for the iPad 3. The device is also planned to be rolled out to more countries by March 23, while following the initial launch of the device on March 16th.